A number of parties in the Florida panhandle have elected to continue an environmental stewardship agreement designed to protect endangered red-cockaded woodpeckers. The News Herald in Panama City reports here that the St. Joe Company, the U.S. Bureau of Land Management, the U.S. 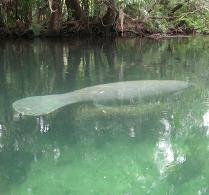 Fish and Wildlife Service and the Florida Fish and Wildlife Conservation Commission are continuing the Lathrop Bayou and Wetappo Creek Land Stewardship Agreement. These parties along with the Sierra Club will maintain two tracts of land as woodpecker habitat. The goal is to increase the number of woodpeckers in in Bay and Gulf counties.